Uranium - Jackson Wild: Nature. Media. Impact. 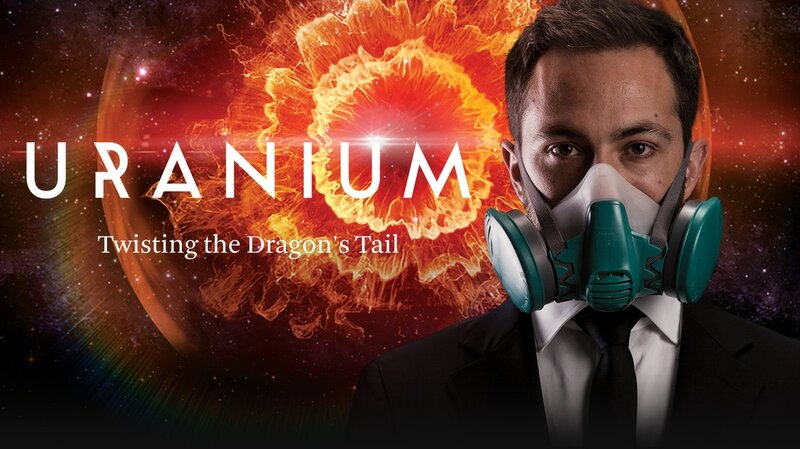 Uranium – Twisting the Dragon’s Tail is a stunning new documentary series exploring the incredible story of uranium, from its creation in an exploding star to its deployment in nuclear weapons, nuclear power and nuclear medicine. It’s a journey across nine countries and more than a century of stories, to discover the rock that made the modern world. It’s part science, part history and all epic adventure. Join physicist and YouTube phenomenon Dr Derek Muller as he reveals the untold story of the most wondrous and terrifying rock on Earth. It began with a mad commitment to tell a cracking story of the most desirable and hated rock on Earth. Uranium changed the world. It revolutionized physics and changed the way we think about the nature of reality. Uranium bent our culture. Uranium is the rock in rock- and-roll. Uranium has the power to take us into a future of clean, limitless energy, or kill every single one of us on this planet. Those are high stakes, and that’s a story that needed telling. Making the series was quite simply the most arduous, intensive, exhausting, dangerous and wonderful working experience. We shot the series in eight weeks in nine countries. Our crew was small, only five people, and they humped equipment up cliffs in Northern Australia in 45 degree heat. They rattled down a dilapidated Soviet mineshaft in a squealing metal cage in wet darkness, and they suited up with spacesuits and respirators and descended into lethal radiation zones. Shooting in high radiation environments has some unique challenges. 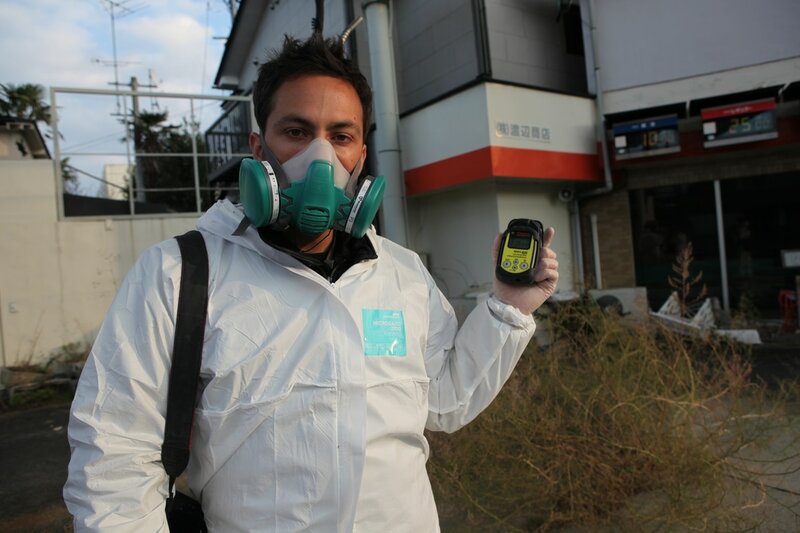 The main danger in a radiation zone is time. In one place inside the Chernobyl exclusion zone, we were limited to only four minutes exposure to the intense radiation. It’s surprising how scary this can be. Walking in torchlight through abandoned underground buildings holding a shrieking Geiger counter concentrates the mind wonderfully. All in all, not an ordinary day at the office and not, ordinary film making. How do you approach science storytelling? Service the audience that you can count on to watch your film, but court the other audience, the one who isn’t automatically drawn to the subject. We apply dramatic principles to our stories. We thought of Uranium as many things, but mostly, as a character. Complex, beguiling, savage. And the series became an autobiography of this character. I think our audience understood this. This character thrilled them, scared them and intrigued them to watch three hours of science and story about a rock. We hope this film will help in understanding uranium as something natural and integral to the fabric of our planet. Something inseparable from the development of life on our planet. A source of astonishing power to be understood. Before it is feared, before it is embraced. Were there any surprising or meaningful moments/experiences you want to share? The nuclear reactor at the Australian Nuclear Science and Technology Organization in Sydney is an open pool reactor. A stainless steel circular well about 5 meters in diameter and about 14 meters deep. It’s full of the most crystal clear water I have ever seen and at the bottom, glowing blue like a fusion of ice and fire, is the reactor itself. It’s about the size of a dishwasher. 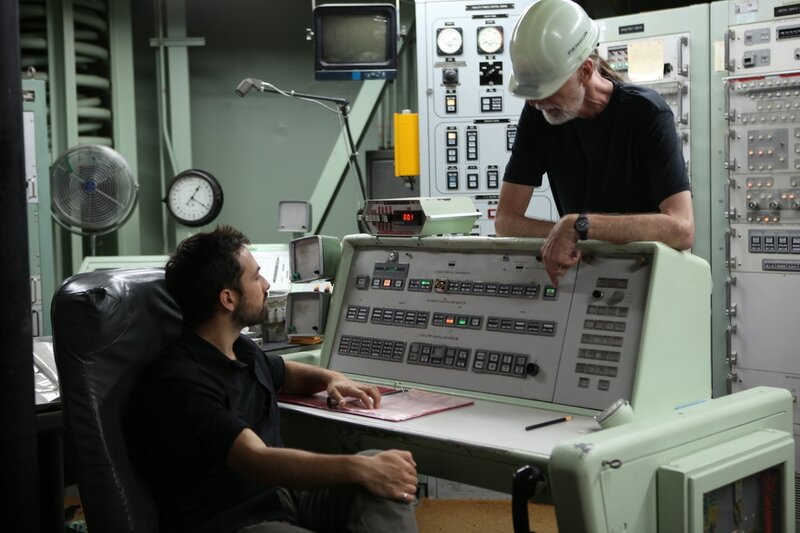 Permission to enter the reactor room is rarely given, and leaning on my elbows over the well, feeling the rising warmth of the water on my face I experienced something profoundly moving. At the bottom of that well they are engineering the fundamental particles of the universe. They are rearranging creation. The reactor made me feel for the brilliant creative energy of our species. It made me wonder at our capabilities. It gave me hope, and it made me angry, at the ignorant, the stupid, the deniers, and the people who read one book. There's a difference between a nuclear reactor and great art, art that inspires like a piece of music, or a painting, or a dance, but maybe, less difference than I had imagined, and I hadn’t expected an encounter with nuclear physics to be so spiritual. Watching documentary, supporting documentary isn’t as passive as most people think. When we watch these programs, support and demand them, we push back on the Empire of Stupid. So be a revolutionary, watch documentary. The short answer is that one never knows what will happen next. I like making films that fuse information with drama. I love stories and finding the stories in every subject. Infotainment is a dirty word. It shouldn’t be. I want to reclaim the word to mean quality films that treat an audience with respect, dignity and patience. Films that entertain and inform. Simple. 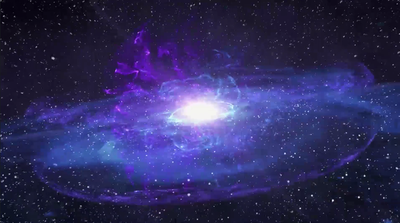 We used a variety of animations to convey complexities of nuclear physics and uranium. What happens when an atomic nucleus splits? What is an element? Why does Uranium split? What is half-life? It was essential to illuminate these concepts for a broad audience, but it was just as essential that an informed audience be engaged and so, animated metaphor was used and the decay chain of uranium became a metamorphosis of baby dragons changing form. The dragon motif is a brave and radical departure from traditional rendering of uranium and it was discussed at length with our team of science advisors and physics experts. The magic realism approach is a gamble in films about science but one that we feel allows people – especially family viewers and school students – to connect and engage. All of our animations are deliberately quirky and fun and hugely entertaining because we wanted to make uranium clear and powerful and engaging for a diverse global audience. Our team had never engaged with a subject that so frequently threatened to sidetrack itself. 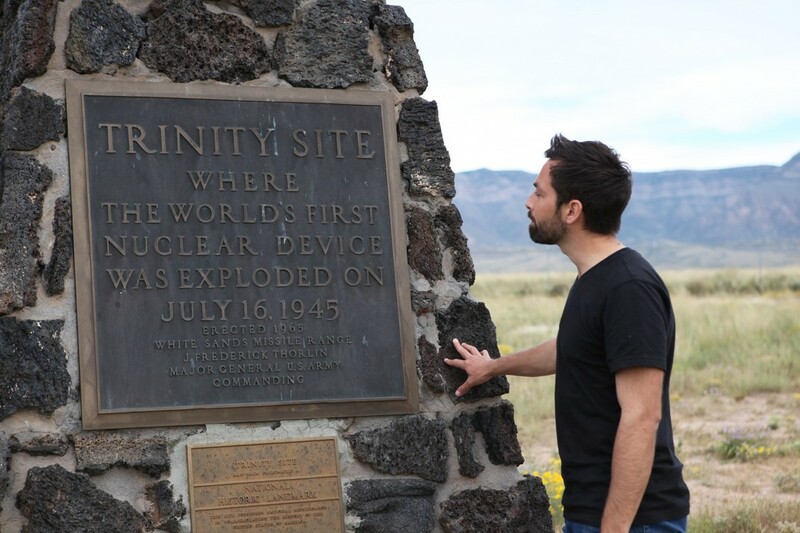 Uranium entices you to talk about nuclear weapons. It wants you talk about nuclear power and waste. It beguiles with astonishing medical technologies. It’s circled by brilliant and engaging people. All of these are issues in our series but they are not the central issue. We had to remind ourselves that our series was about all of these things and more, but mainly, it was about uranium. I am told that Bill Clinton had a sign in his office that read, ‘it’s the economy stupid’. I had a sign in my office that read, ‘It’s about Uranium stupid’. Why did you pick Derek Muller to be the on-camera host telling this story? 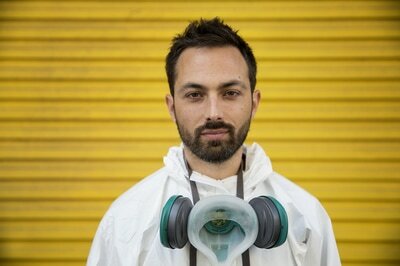 URANIUM – Twisting the Dragon’s Tail sees Dr Derek Muller hosting his first television documentary series. Derek is a physicist. He also has a substantial online presence that demonstrated to our team and our broadcast partners, an infectious enthusiasm for science. Derek unleashes a historian’s passion for detail, a physicist’s understanding of science, and a journalist’s nose for a good story. He loves science, but he also loves the poetry and the beauty of science. Derek took the audience with him on this journey. He invited us to wonder, and charmed us to listen.